Speakeasy Group, the multi award-winning hospitality group behind Melbourne and Sydney institutions Eau de Vie, Mjolner, Boilermaker House and Nick and Nora’s, has today launched an equity crowdfunding campaign – opening up to investors for the very first time. 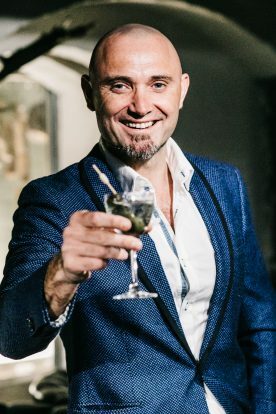 In what Speakeasy is calling an “Australian hospitality industry first”, owners Sven Almenning and Greg Sanderson will offer Australian investors and stakeholders including employees, patrons and other industry leaders the opportunity to own a piece of their favourite Speakeasy venue. Speakeasy Group is aiming to raise up to $3 million from investors, with rewards on offer for investments as low as $500, all the way up to $10,000. Investors will receive shares in the company and also be offered a variety of ‘Owner’s Privileges’ dependant on the size of their investment. In the short-term, the funds will be used to open a Nick & Nora’s outpost in Melbourne, which will be the seventh venue under the Speakeasy banner. Founded in 2010 by Almenning and Sanderson, Speakeasy Group has been a leading light in the drinks space for several years – most recently taking home the award for Bar Group Operator of the Year at the 2018 ALIAs. Almenning has also been a long-term supporter of crowdfunding, successfully funding an innovative ‘Bacon Bourbon’ for his Experimental Spirits Company, as well as raising $24,000 for the Eau de Vie cocktail book Shaken, Stirred, Flamed & Thrown in 2014. However, crowdfunding for his actual bar group is obviously a more ambitious step. “This is a unique opportunity for our guests and consumers in general to invest into a highly awarded and profitable bar group. ”On a more serious note, obviously investing in hospitality carries a certain amount of risk, however we have a great track-record at the Speakeasy group. “Our venues remain highly profitable and are delivering extremely strong returns on investment. Unlike most other crowd-funded businesses, the Speakeasy group will be offering dividend payments from day one, and we’re also offering some great “owner’s privileges’ that our investors can enjoy. The equity crowdfunding campaign is currently live, in the Expression of Interest stage, on leading platform Birchal. The offer is expected to open – initially with pre-registrations – in the coming weeks.